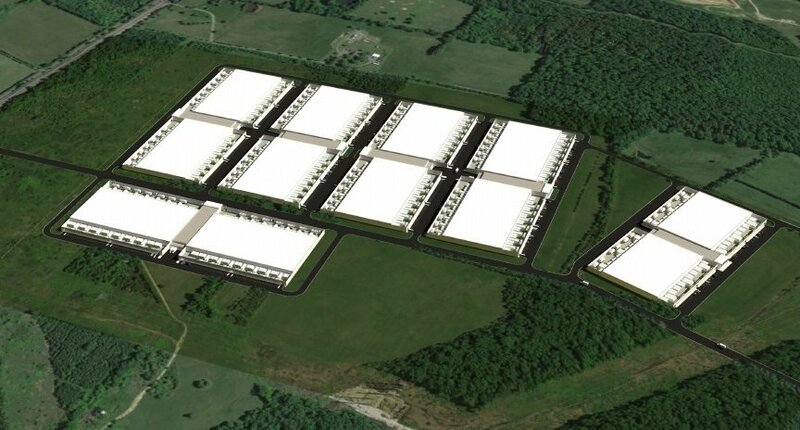 Real estate specialist Point One Developments has applied for permission to build a large data center campus northeast of Remington in Fauquier County, Virginia. In its application, the firm said it wanted to build up to six data centers, spending $1.4 to $1.6 billion, with a plan to lease the space to large Internet or cloud companies. “The conceptual plan for the site includes six data center buildings, built one at a time, each ranging from 240,000 sq ft to 310,000 sq ft. The complete build-out square footage of all buildings in Remington Technology Park is estimated to range between 1.5 - 1.8 million sq ft,” a January 2017 application document, first discovered by Fauquier Now, stated. “Each building would consist of approximately 200,000 sq ft of data hall space and the remaining square footage would be allocated to support office, circulation, loading and equipment areas. The total construction value of the first building on site is estimated to be between $250 - $270 million USD. In a January 2018 document, the company sought rezoning of the land from the Rural Agricultural (RA) and Residential (R-1) zones to a Business Park (BP) zone. The county’s board of supervisors will conduct a work session on the proposal on February 8, followed by a similar session by the county commission on February 15. A public hearing for the proposal will then take place on February 27, ahead of another public hearing by the board of supervisors in early March. The supervisors then have the authority to make a final decision.